Die scratches run N-S through LIBERTY. 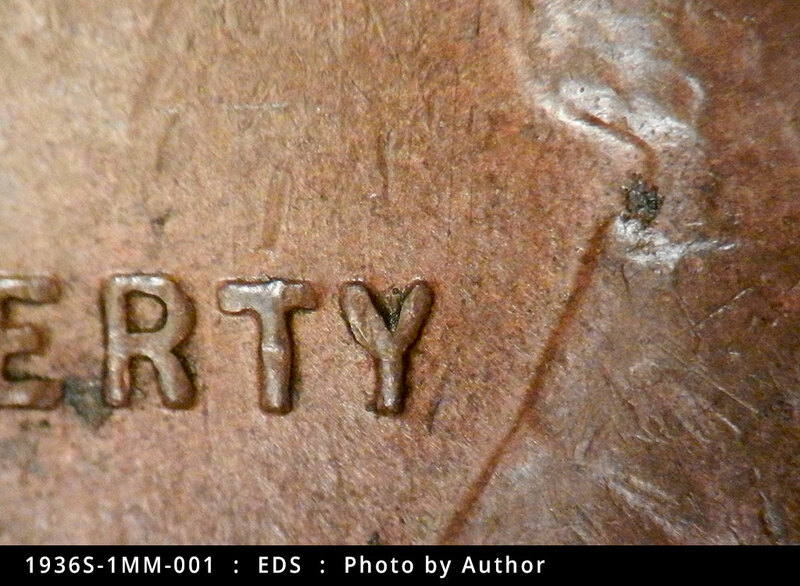 A die gouge runs concentrically around the upper design above the motto. 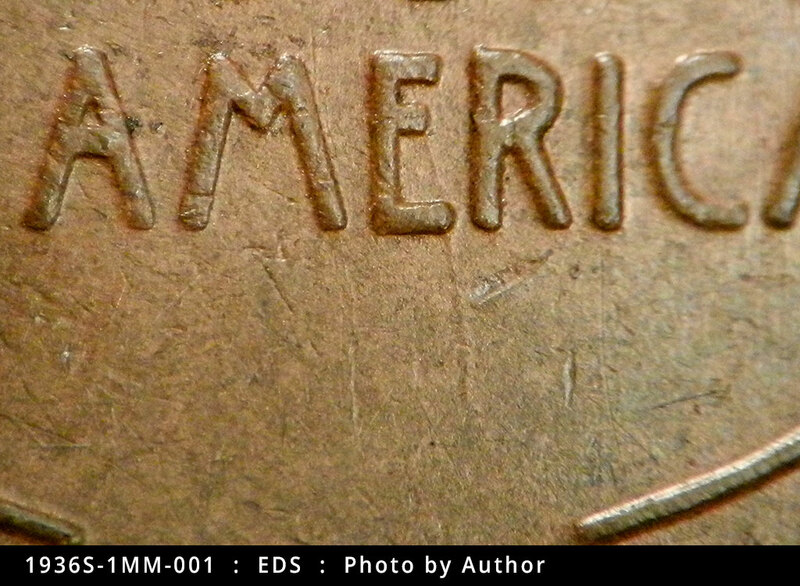 A patch of die scratches shows on the neck. Reverse is MDS. 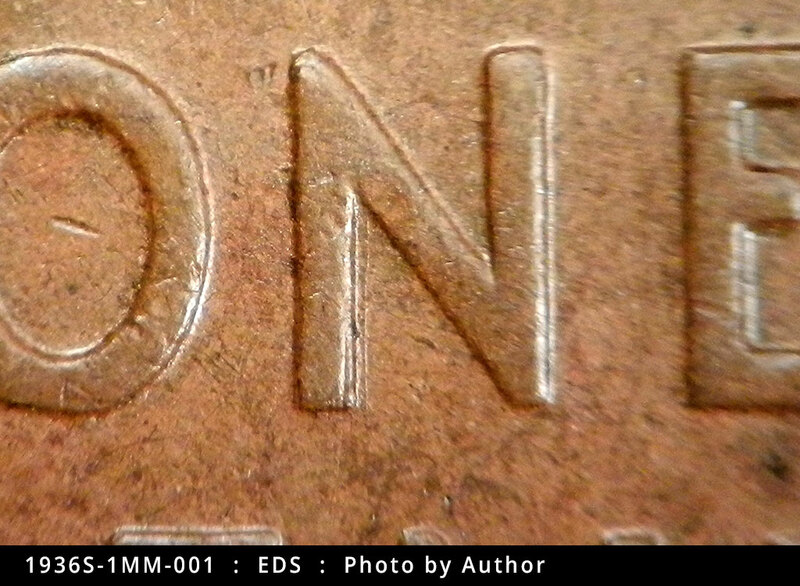 A heavy die scratch runs just inside the left side of the N of ONE. 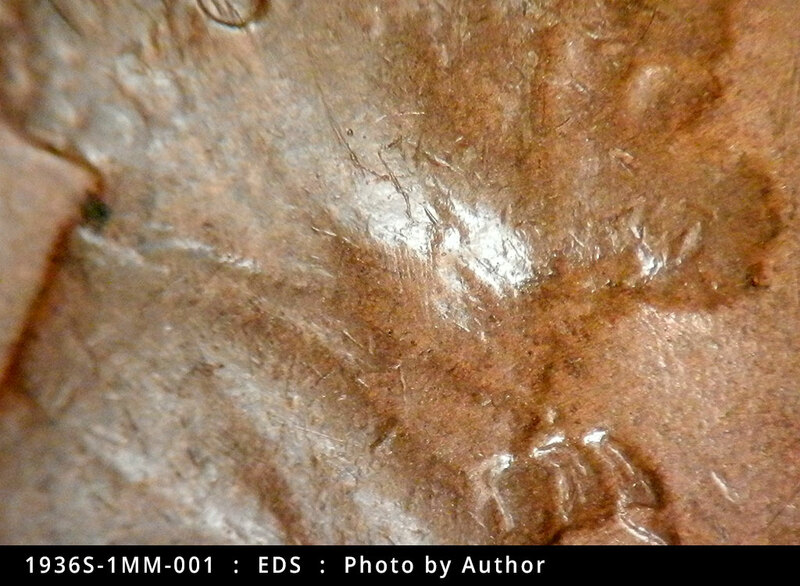 Obverse is EDS. 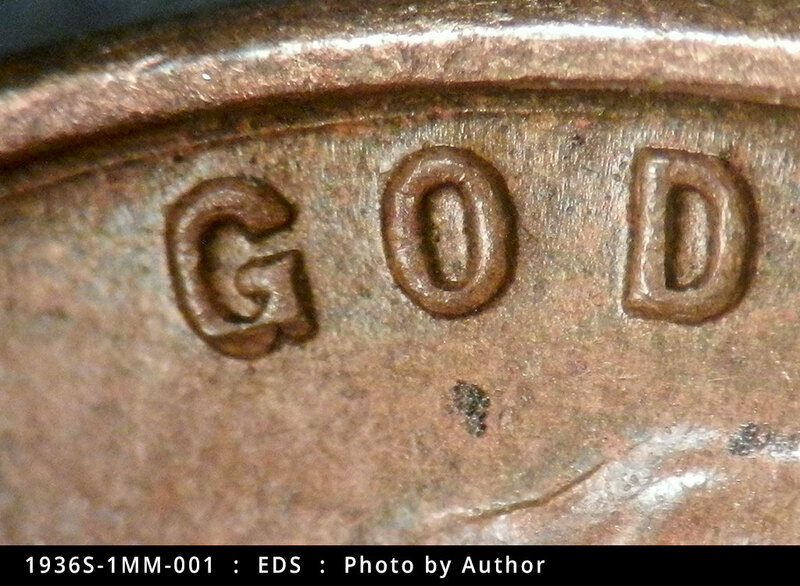 coin photographed is credited to the author. 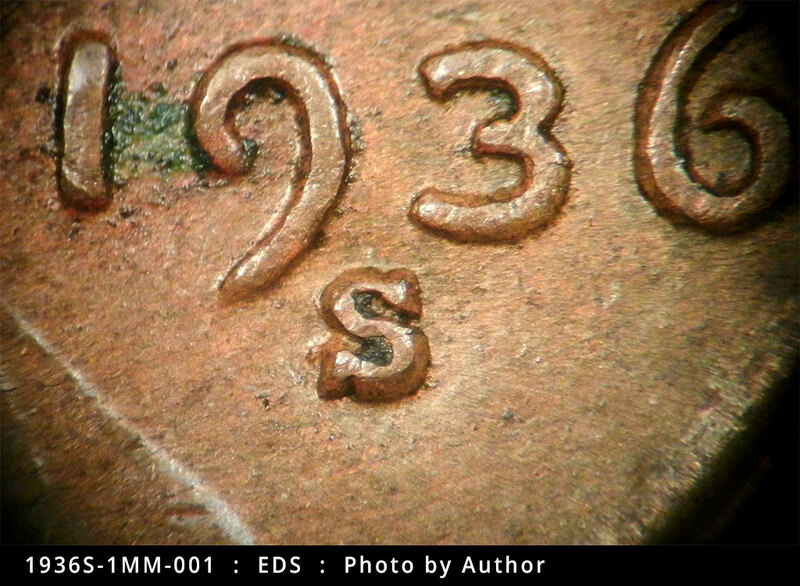 This variety shows an extra lower serif to the northwest of the lower serif on the primary mintmark, and it shows just a little bit of an extra curve to the west.